Get to the top of Africa via Shira Route. It is a difficult route that begins in the west Kilimanjaro at Shira Gate (Londorosi Gate). 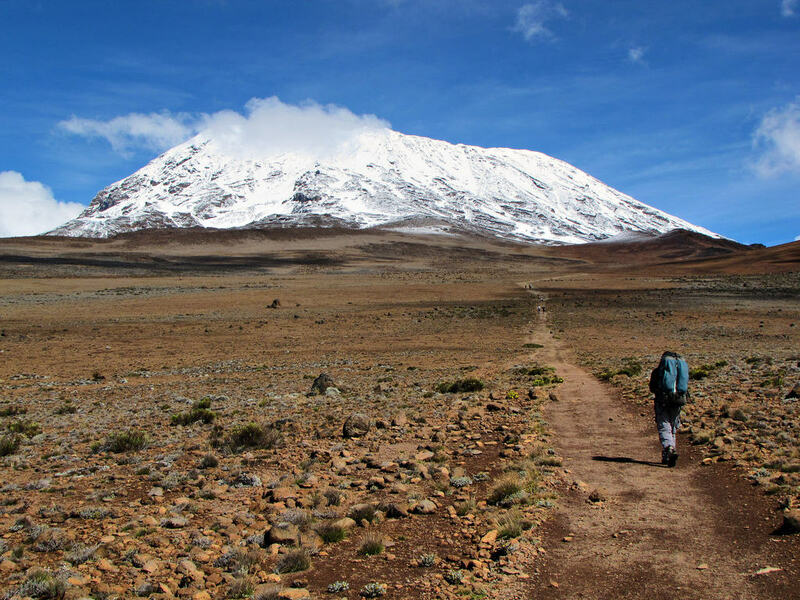 It is an ideal choice for experienced climbers who are confident about their ability to trek the great Kilimanjaro via the most difficult and challenging route. You must obtain enough acclimatization to altitude, and to walk over steeper slopes for extended period of time. Take up a steep path within the national park to reach Shira Barrier (3,300m) where the hike starts. Trek the Shira Plateau with outstanding outlook across to the main top. Hike to the summit at 3,750 m, a huge structure of rock surrounded by steep spires and pinnacles. Dig-out the lower part of the Northern Icefields with an extraordinary views of Kibo. Pass through the lava ridges under the glaciers of the Western Breach. Lunch and walk on the rocky lower slopes of the Western Breach to reach the ruins of the old hut at Arrow Glacier (4,800 m). The wall will then guide us to an undulating trail on the south-eastern flank of Kibo, with superb vistas of the Southern Icefields. The terrain is volcanic scree, with pockets of vegetation in sheltered hollows, and a powerful sense of mountain wilderness. Short acclimatization walk to the plateau at the bottom of the South-East valley (4,800 m). Climb by torchlight about 1 a.m. so that we can be up on the Crater rim by sunrise. Rest there for a short time to enjoy the sunrise over Mawenzi. Retrace via the tropical forest alive with birdsong and boasting lush undergrowth with considerable botanical interest. Pass through coffee and banana farms to Mweka village.